Along came The Tarantulas, it’s not a new movie so hold on to the excitement. 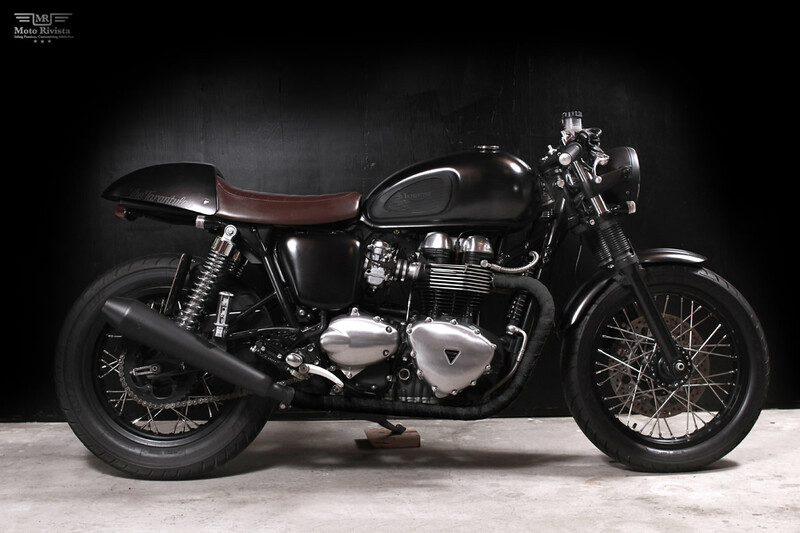 It’s a Northeast Portland based motorcycle garage called The Tarantulas, and to elevate your excitement we are featuring their Triumph Thruxton Cafe Racer aka Doomrider. 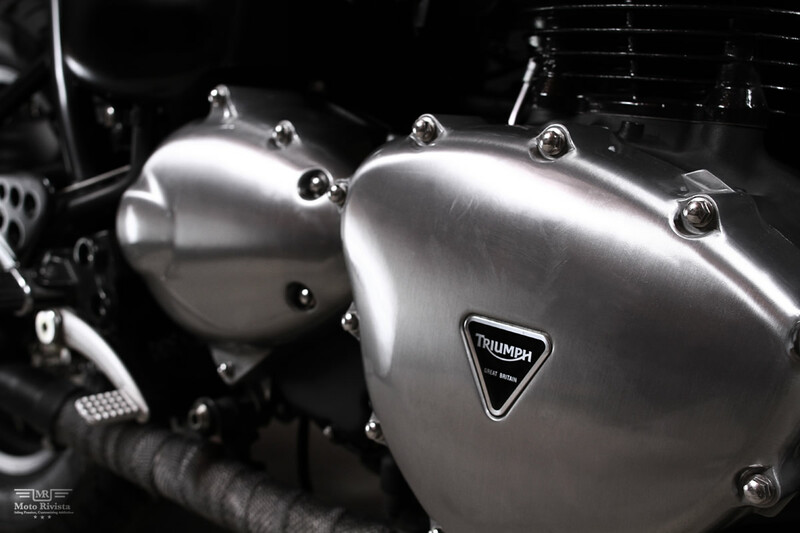 To give you little flash back the Triumph Thruxton was named after the Thruxton racing circuit where Triumph ruled the roost and inspired by the famous Ton Up Boys of the 60s. Triumph won the first three places in the Thruxton 500 mile endurance race in 1969, establishing the cafe racer era, where standard production motorcycles were modified to improve racing performance. So when your messing around with something as legendary as the stock Thruxton than the result had better be something special. 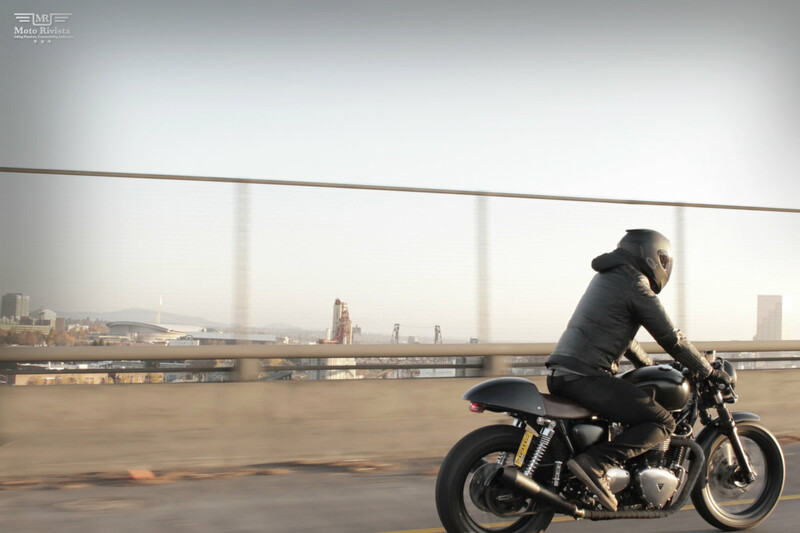 The guys at The Tarantulas have managed to keep the essence of the Triumph Thruxton and yet deliver an astonishing result. 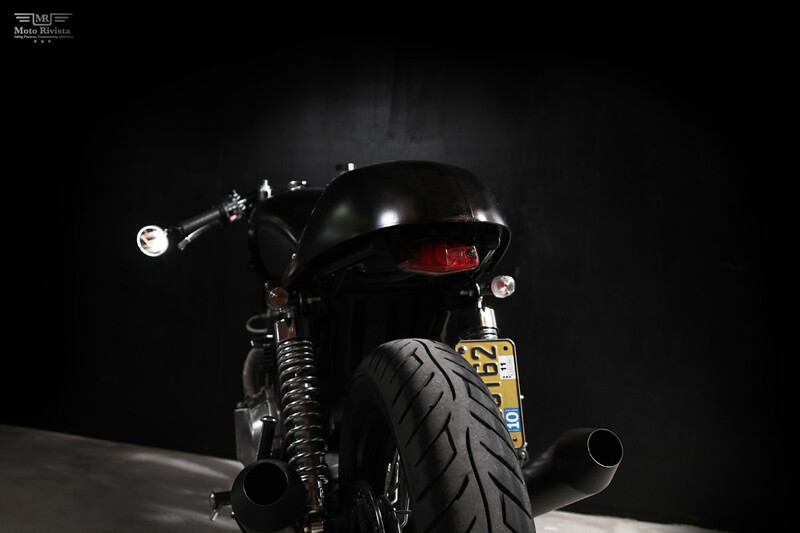 The base for this custom Triumph Thruxton was a stock 07 Thruxton, in a short time the stock bike was transformed into Doomrider. 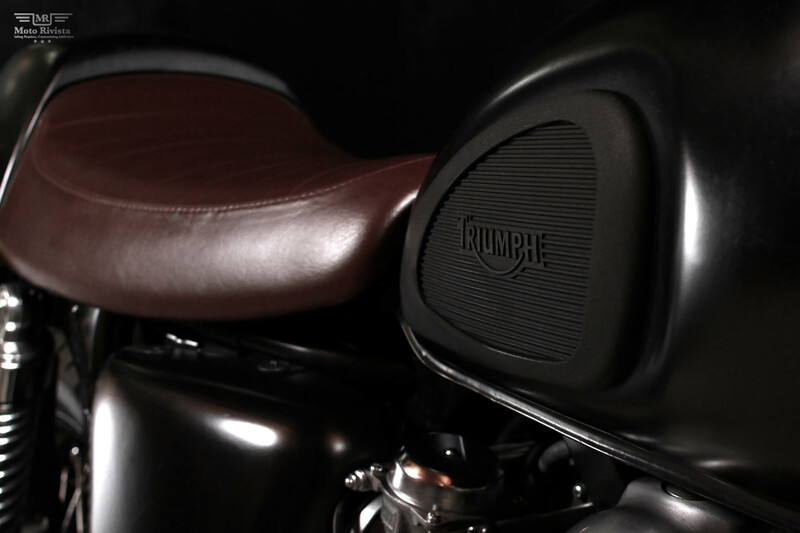 The modification of this Triumph Thruxton includes the removal of the rear fender and the pesky horn. Fabrication work includes a custom plate for under the seat, a bracket was built to move signals and a taillight. 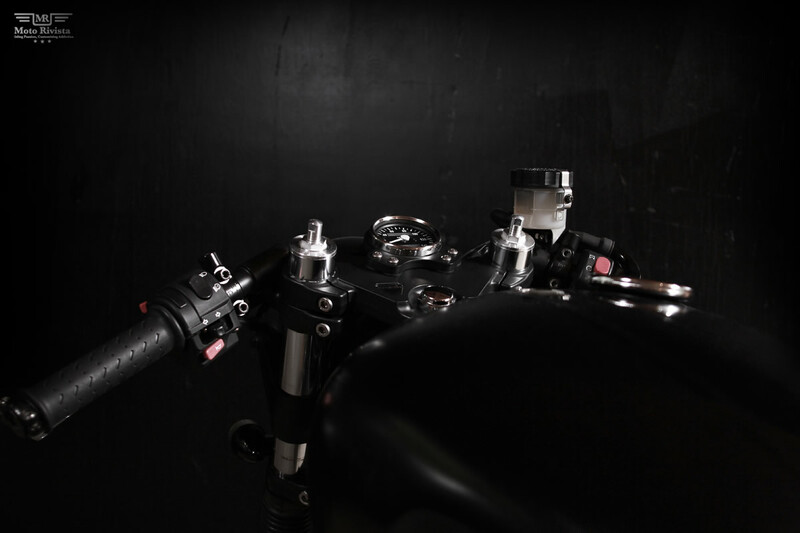 At the front the bike features D9 gauge bracket with mini speedometers and the stock exhaust has been black wrapped. Black is the beauty on the bike, the wheels, fork tubes, toptree, clipons, headlight bucket and signal housings were powder coated in black. The finished bike looks elegant and with blacking out the bike your eyes are drawn towards the entire structure. From the stock bike to Doomrider I think The Tarantulas have done a great job, what do you think?